Although I’m very passionate about my music, my guitar playing and blues, I don’t in any way consider myself an expert on any of these topics. I’m always open to new artists and a lot of artists that have received high praise from other musicians I simply haven’t had the chance to listen to yet. This will explain to some why I had never listened to Roy Buchanan till recently. When you read as much about music, guitars, guitarists and guitar playing as I do there are certain names that continue to pop up as major players in the guitar world. People like Jimi Hendrix, Eric Clapton, Jimmy Page, Jeff Beck, Billy Gibbons, Stevie Ray Vaughan, Peter Greene etc. Most of these people I had heard of and typically I’ve listened to their music for years as have many people. Probably everyone familiar with rock and roll has heard of Eric Clapton and Jimi Hendrix and people who know classic rock can easily recognize Jimmy Page from Led Zeppelin. One name though, Roy Buchanan, kept popping up, and I could never pinpoint his music, or why some of the people I consider guitar legends, referred to him as one of their influences. While I was reading about rock and roll and preparing for the launch of The Soul of Rock ‘n’ Roll, I happened across a video of none other than Roy Buchanan playing “Hey Joe,” a song that was more well known because of the Jimi Hendrix version. I knew and loved the Hendrix version and having remembered hearing about Roy Buchanan so much I was intrigued. 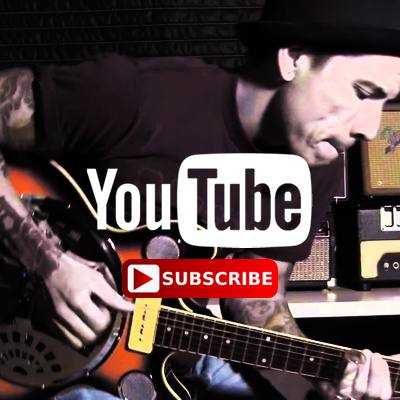 I watched the video and suddenly I had a new guitar idol. This blues guitarist so expertly wrenched notes from his guitar that it sent shivers up my spine. Using a volume knob technique to create an almost violin like effect along with typical blues guitar techniques, and a whole lot of emotion, Mr. Roy Buchanan took the song I had only known because of Hendrix and created a slow blues, absolutely heart wrenching version unlike anything I had ever heard. It was raw, real and authentic that I was immediately blown away. I watched every video of Roy Buchanan I could find that night. Roy’s playing seemed to come primarily out of emotion like blues, but with a noticeable technical expertise that was exciting but not showy. Plus, when he would work the volume knob on his guitar, he could actually make it sound like the guitar was crying. Well this works as an exciting technique, but it also allowed him to create very vocal sounding solos that had swells, dynamics and emphasis, just like a vocal soloist would use and that added so much soul to the solo. When it comes to music, I’m impressed not so much by technical expertise on an instrument (although that can impress me too), but more so how well that musician can convey the emotions of the song, add to them and enhance the overall mood. Anyone can learn to play blindingly fast with a million notes, but when someone can make their soul speak through the instrument, thats what it is really all about. With his crying guitar and tonal range from smooth, round and transparent to bitingly sharp and gritty, Roy took these songs from slow and sad to hard edged an soulful at will. Truly a master of expression on guitar. 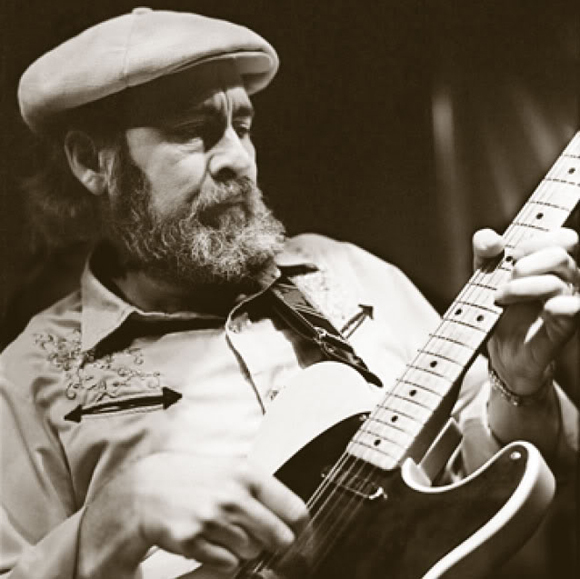 As I read more about Roy Buchanan I discovered that except amongst guitarists, specifically blues guitarists, his music is generally overlooked. That seems like such a shame. For me, music is about emotion, what it makes me feel and how well I can related to those feelings. This is why I gravitated towards blues as I grew older. Blues is probably the most emotion based genre of music there is as it’s primary focus is often heartbreak, a very emotional subject. The best musicians in any genre can convey their feelings and their soul through their music. Roy Buchanan was definitely one of the best at this in my book. His playing has had such an impact on how I play guitar that I only wish I could have found his music sooner. It has really inspired me to try and put every ounce of myself and my soul into my playing. Maybe the music of Roy Buchanan is not for everyone as not everyone is into blues or guitar playing but for those of you who are into both and haven’t yet checked out the work of Roy Buchanan, you should. His blues is more earthy, and rustic that some of the famous Chicago blues players (B.B. King, Buddy Guy) and has a hint of jazz, but his passion is just as evident and the guitar playing is magical. Some artists never received the recognition they truly deserve but if an artist can inspire others, than they are successful and because of how he has inspired other musicians, myself included, I think Roy Buchanan deserves a little more recognition. I hope more people are as inspired by Roy Buchanan’s music as I am. D.A.N (Dave Nuzzo), is the Owner/Editor of The Soul of Rock ‘n’ Roll a music and rock ‘n’ roll oriented blog. The Soul of Rock ‘n’ Roll was design to promote the music that he likes, listens to and is passionate about. He discusses everything from Folk to Heavy Metal with the emphasis on Classic Rock, but also talks about the impact rock ‘n’ roll has on society, unknown bands, and playing music. 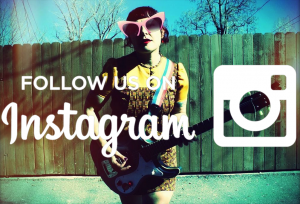 If you’re interested in reading more rock ‘n’ roll articles from D.A.N., check out The Soul of Rock ‘n’ Roll. As for the guitar stories…they are countless. Jen often spoke of Jeff Beck as being one of Roy’s favorite students of the guitar. She also mentioned that Clapton would show up at his gigs in disguise, and was one of the few artist to pay respects to the blues legend. I’ve seen all the footage of Roy’s play and I must agree…. his soul was expressed through every note. I read your article and i couldnt agree less, the way i found out about the great Roy Buchanan was “the messiah will come again” instrumental, very soulfull and emotionally charged, i have always been a fan of Gary Moore, another great guitarist, one of his influences was Roy, matter of fact he made his own version of “the messiah will come again” and i always loved it and listened to it for so many years, thanks to internet I was looking for the original version of that musical masterpiece and there it was, Roy Buchanon, at that time i did not know who that was! but i gave it a shot and WOW!!! I was blown away, watching and listening to him play his original masterpiece just brought tears to my eyes, I enjoyed every second of it, ever since that day i have been preaching and spreading the word about Roy, i appreciate every song he covered and composed, Hey joe, down by the river, sweet dreams and many others, RIP Roy, may your music live on and on, truly a legend ! I saw Roy Grand Valley State University in the 70’s, then again in Cincinnati in the 80’s on a bill with Greg Almond (they played together on stage). The guy was a mesmerizing guitarist to say the least!